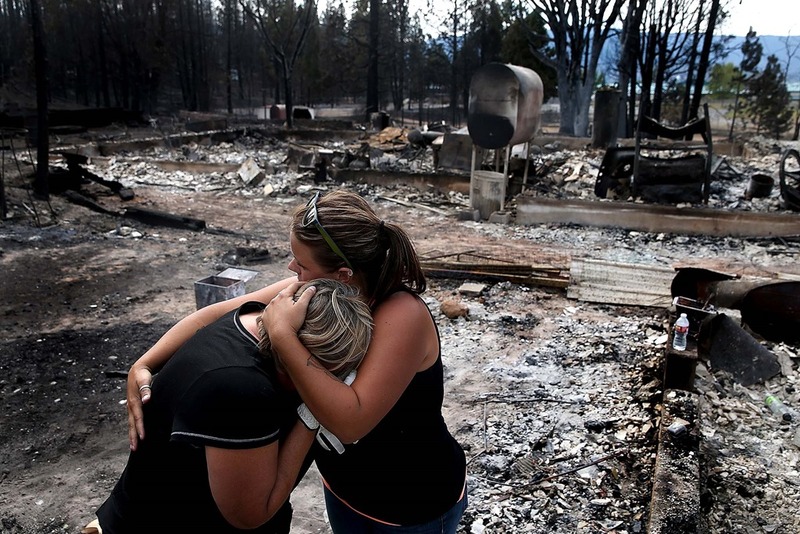 Today I read an article about a small town in Northern California that was devastated by the continuous wild fires raging in the West. So many houses were burned to the ground. In the video, a woman says many are left with nothing but the clothes on their backs. I thought of the various weather conditions throughout the world that leave so many in a position of helplessness, where every belonging is destroyed. I thought of this small town that does not have a booming economy to stabilize such a scenario, where many people’s livelihoods rest on the employment that perhaps is no longer standing. 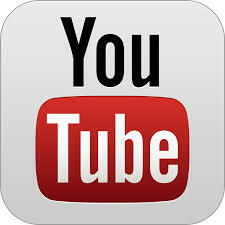 Another person is the video said the town was already an “economically depressed area” and now so many more would be out of work. Imagine if that was you, and the very means in which you depended on for your survival was put to a halt and you no longer had that choice – you cannot work. When employment becomes the dependent for one to survive, what happens when one lose their job? Or when they are forced into unemployment due to unexpected weather conditions? Here is where a safety net is required – a foundation anyone in such a position can fall back on. 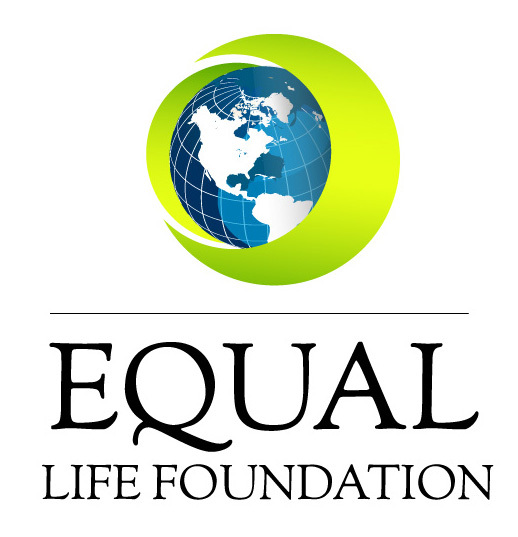 The Living Income Guaranteed, proposed by the Equal Life Foundation, is such a system that would ensure any victims to have to face such harsh conditions of extreme weather, that leave their area devastated and struggling to re-build their economy, the ability to move forward with the least likely burden. Imagine you are okay to do what is necessary to be done to ensure you re-build not only your life and the life of your family and friends, but also your community without having the added pressure and stress of not working, and the current consequence of such a position, to add to the list of things to be done. No one should have to fear not working, especially when it is something out of one’s own hands, as the consequence of not working is not making money. And we know what happens when one does not make money. And so since yours, mine, and everyone’s survival is dependent on the money we have, all have the right to have access to this resource. Whether you are in between jobs, in an area hit by extreme weather, or simply unable to find work at the moment, all are entitled to the condition that provides a basic living ability; a right to have access to your basic HUMAN RIGHTS. No one should have to be without, and no one should have to fear going without. It is our duty as a society, as humanity, to ensure all are cared for in the times when it’s needed most – because within that is the principle of ‘do unto another as you would have done unto yourself’. That is a principle in which the Living Income in built upon and with it’s assistance and support, we would see a drastic change in our views of such calamities. Extreme weather would no longer be seen as something that is too difficult to come back from – as the political, social and economic structure would be in place for anyone to be able to stand from. It is the foundation which is required, and is absolutely viable to create, to ensure that together we can face whatever situations may come upon us, whether that is the weather or not – we have the resources and means to ensure no one is left alone or without the support to re-build and re-create in a way that is dignified. Investigate Equal Life Foundation and the Proposal of a Living Income Guaranteed as the safety net necessary for when unexpected weather or conditions exist. We are more than capable of ensuring no one is felt fearful of the future and ‘what to do next’ – because we have the means and the finances to ensure everyone the opportunity to stand up on their own to feet and start moving forward, creating and building again. This entry was posted in Accountability, Basic Needs, Best for All, Birth Right, Civil Rights, Collectivism, Common Sense, Economic Efficiency, Family, Human Rights, Infrastructure, Planned Economy, Prevention, Social Responsibility, Sustainability and tagged basic income, BIEN, bill of rights, disaster aftermath, extreme weather, financial safety net, fire season, king fire, LIG, living income guaranteed, living rights, new economic proposal, unemployment, weather devastation, weeds california, wild fires. There is enough. This statement is crucial for the continuation of our species in the times ahead, where all we hear is that we do not have enough, not enough food, not enough money, not enough housing, but if one look behind who is in fact saying these statements, you will find the corporations who have a vested interest in us continuing to believe this and so live out this belief that there is not enough. The corporations who control now the resources, the private banks who control the money supply, and the governments that control our livelihoods all have a stake within making a lot of profit, while we continue to believe that ‘there is not enough.’ So we cannot accept and allow any longer this notion that there is not enough resources or food or money in this world, we have to educate ourselves on the reality of what is here and how to walk the path to understand and so live the statement that There IS enough! We know that money is made out of thin air, there is no value inherently within the paper it’s made from, it’s simply a medium for commerce, and within this we the people give it meaning. So saying there is not enough money is a scapegoat for admitting to the fact that some want more than others, and will do what it takes to make this continue to happen as it is and has been a reality for most of our recorded history. All are responsible within this ignorance we have accepted and allowed where some go with nothing and some go with enough, we all live here and so accept this money system as it is now, so we all have to face the consequences and change the outcomes to be best for all. It’s on each one being a part of this change because nothing will change until we stand up within ourselves and change who we are from within to the without. 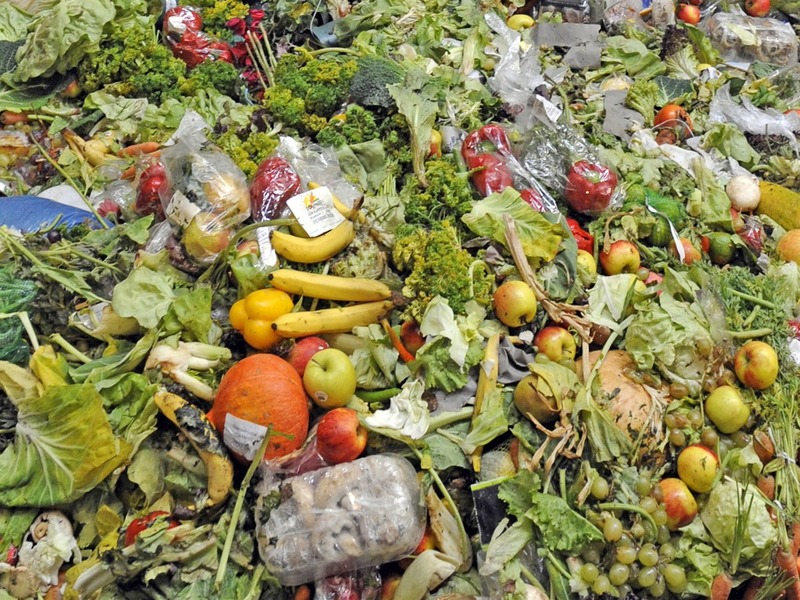 Each year, about 40 percent of all food in the United States goes uneaten. It’s just tossed out or left to rot. And that’s a fairly large waste of resources. All that freshwater and land, all that fertilizer and energy — for nothing. By one recent estimate, Americans are squandering the equivalent of $165 billion each year by rubbishing so much food. So we have 33 percent of the world population that is considered starving and we have on the other extreme 40 percent of the food in America is thrown away due to not being processed effectively or not reaching the desired aesthetic picture the shoppers demand for. This seems like a sick joke we are playing on ourselves, I mean this doesn’t make any rational sense to allow such a play out of life and death to exist, but it does, it is happening every day. What we fail to see or realize within the system we live in is that we are more and more interconnected and so dependent on each other to continue to exist. When we allow such a contrast of basic needs where some have a lot and many others have little to nothing, we have to stop and consider what we are in fact doing here. There has to be a point in each one’s life where we have to question the way things are. This is determined and will be determined by each one within themselves and so will determine their own lives and existence, but it’s suggested to find solutions for all human beings to be given the necessary basic rights that we all are given at birth, the conditions for a decent life. 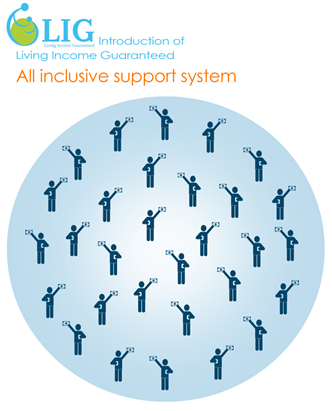 The Equal Life Foundation of which I support and contribute to with research and funding, have proposed a Living Income Guarantee, They have set out the basic structure for a new way of life for everyone, where those that require it will be given a living income to be able to buy what is needed and be sustained in a dignified way through changing parts of the current system that is currently in place. This will be walked as we start to open up the relationships and pathways once there is more support and funding involved, but we are not there yet. We have to start from the ground up as we see, realize, and understand that starting from the top down will not change things as this is the way it’s always been, and there has been no significant change in human life in the last 2000 years. We as the people that can hear the message and see that the way forward is a way of walking the talk and living the solution as ourselves, can move to positions and solutions that will continue to propel this best for all principle forward and walk what is necessary in all avenues until it is eventually done. Never giving up, continuing to push forward, empowering ourselves and so others as we move forward. We do have enough on this planet, so this is not the problem as the Earth has given all the resources/sustenance/common sense to walk the best for all principle for each one to equally benefit from this reality. If we start with a living income, to create a standard of living that gives all dignity then we can also start looking at how and through what means we can change the way we do things to create efficiency and sustainability, we can start the path of honoring life and not wasting and destroying it due to our own ignorance. This entry was posted in Basic Needs, Consumerism, Consumption, Financial Independence, Food and Nutrition, Freedom, Human Rights, Lifestyle, Living Income Guaranteed, Money Supply, Scarcity, Waste and tagged #waveofaction, american food waste, american way of life, americans waste food, basic needs, best for all living, bill of rights, capitalism, change, consumerism, consumption, dive documentary, dumpster diving, equal life, equal life foundation, food waste, Living income, living income guaranteed, money, money to live, new economic structure, new movement, population reduction, scarcity, self empowerment, solution for this world, starvation, use of resources.